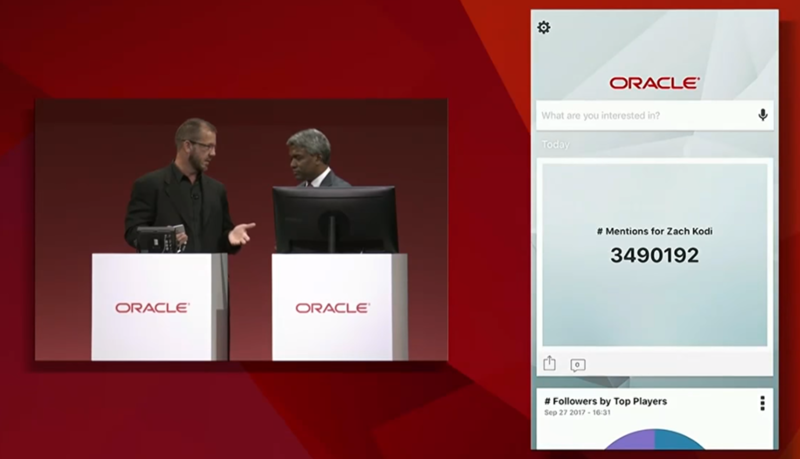 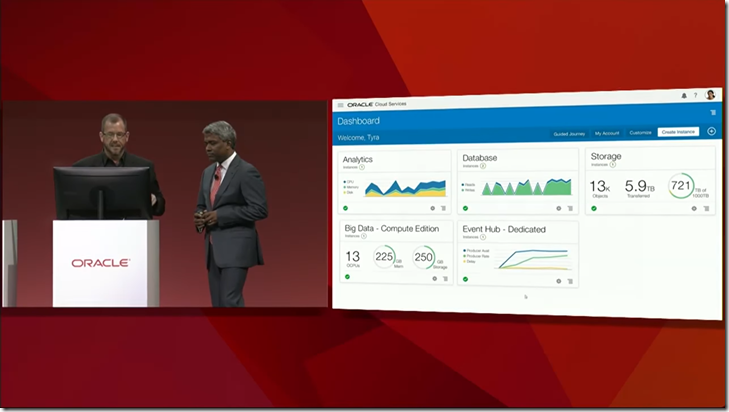 In his keynote on October 3rd during Oracle OpenWorld 2017, Thomas Kurian stated that the vision at Oracle around analytics has changed quite considerably. 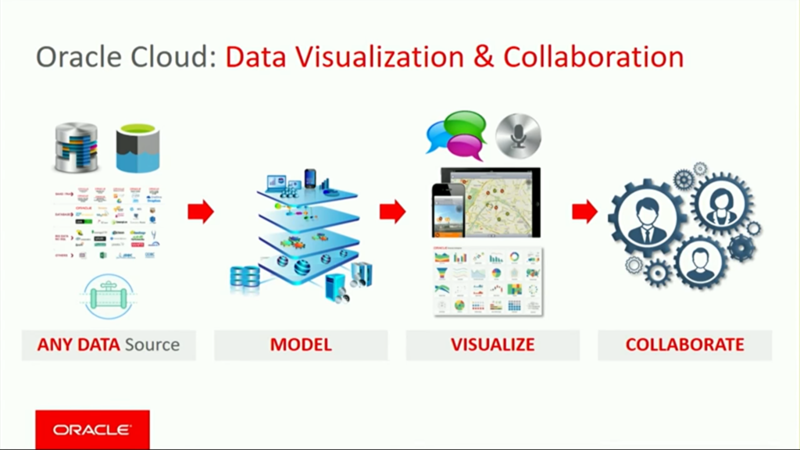 He explained this change and the new vision using this slide. 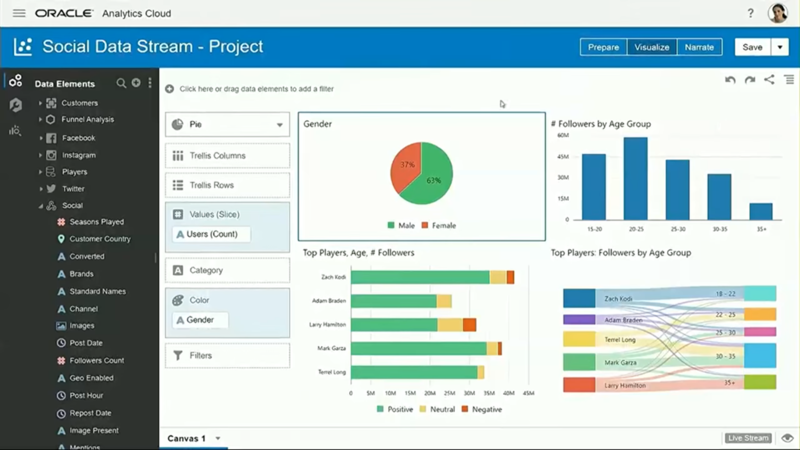 All kinds of data, all kinds of users, many more ways to present and visualize and machine generated insights to complement human understanding. 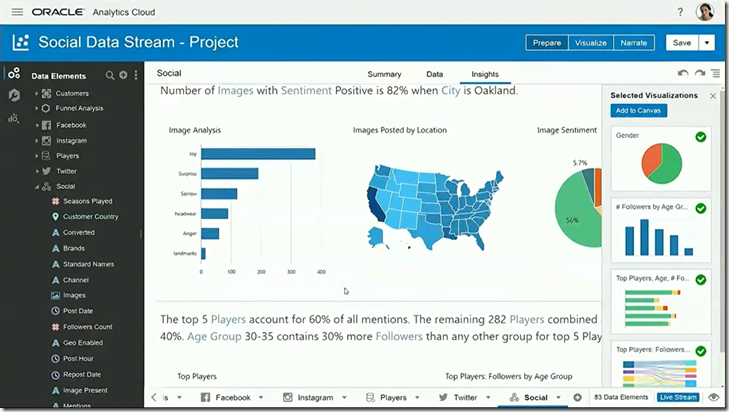 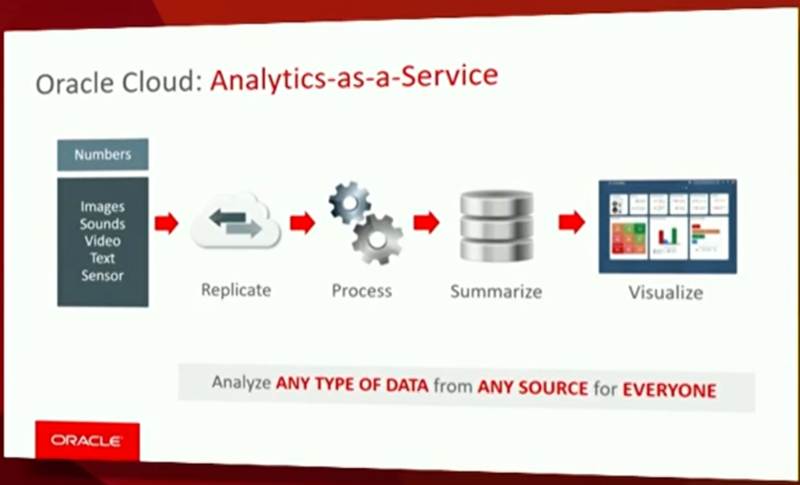 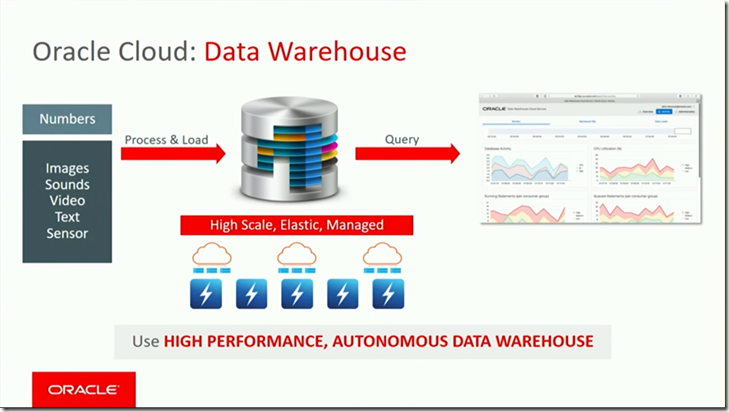 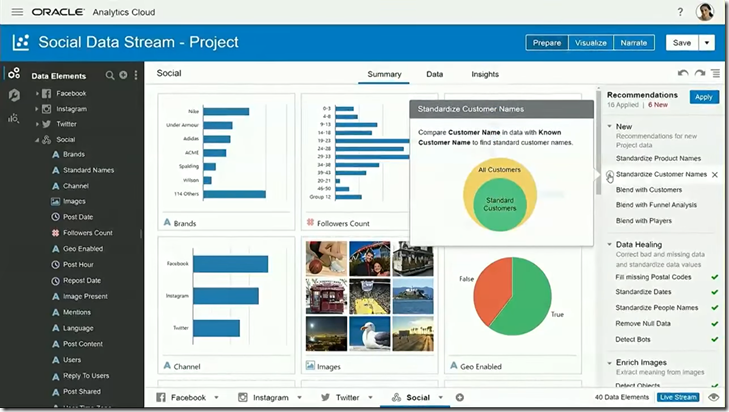 The newly launched Analytics Cloud supports this vision. 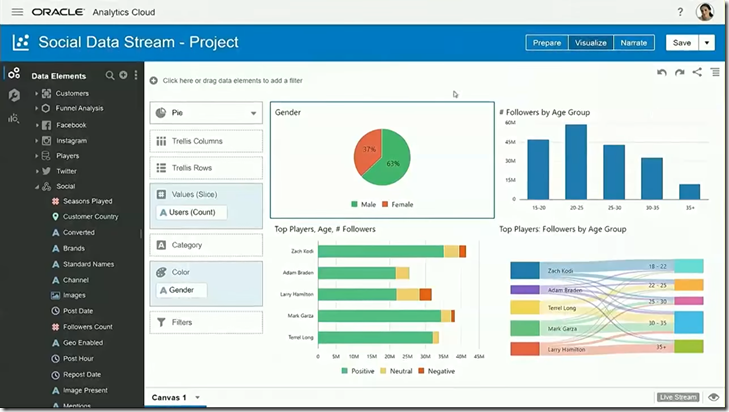 And from cleansed and prepared data – create Machine Learning models that help create classify and predict, use conventional (charts) and new (personalized and context sensitive and rich chat, notification, maps) and allow users to collaborate around findings from data. 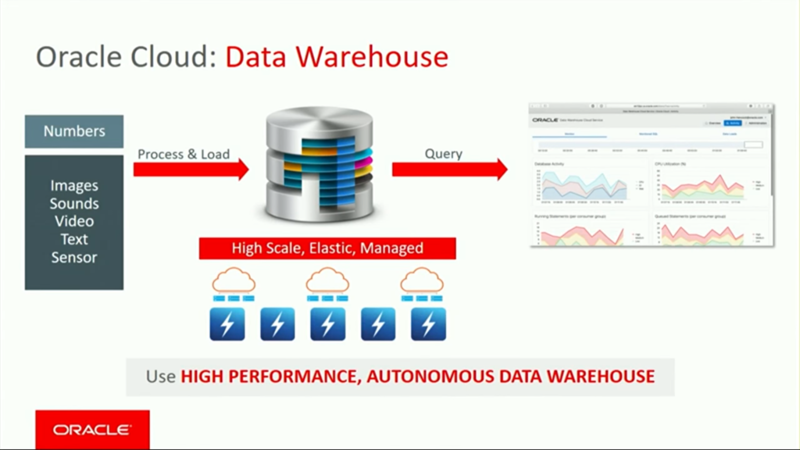 Thomas K. threw in the Autonomous Datawarehouse as an intermediate or final destination for prepared data or even the findings from that data. 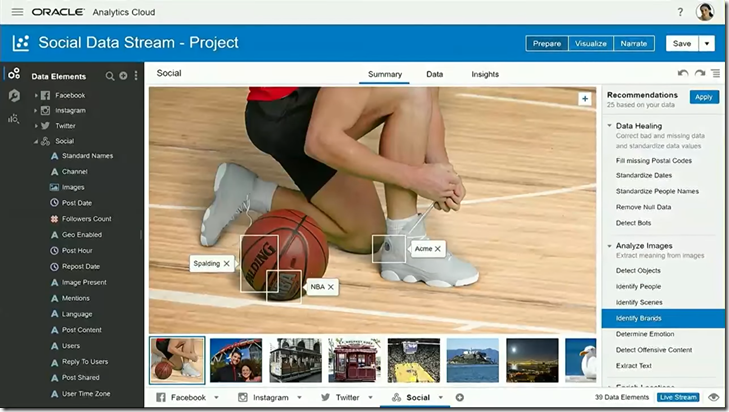 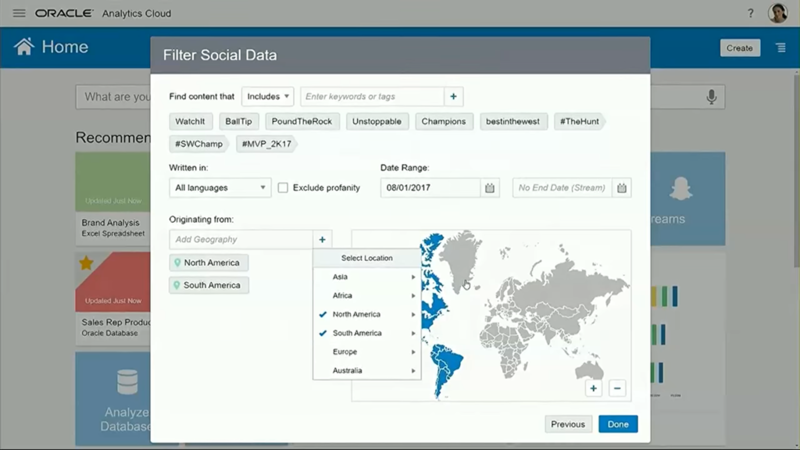 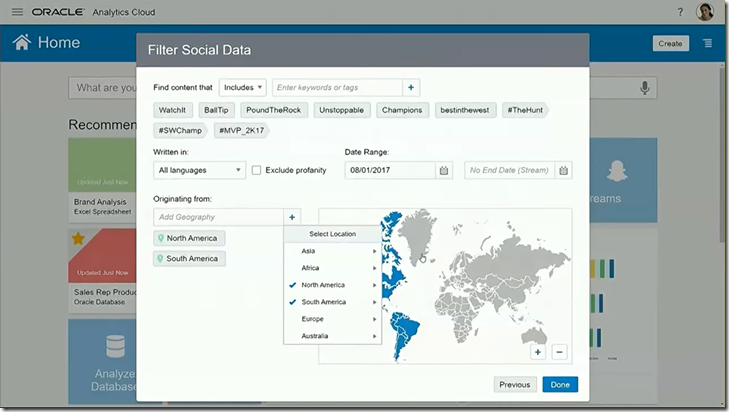 The keynote continued with a demo that made clear how a specific challenge – monitor social media for traffic on specific topics and derive from all messages and tweets which player was most valuable (and has the largest social influence) – could be addressed. 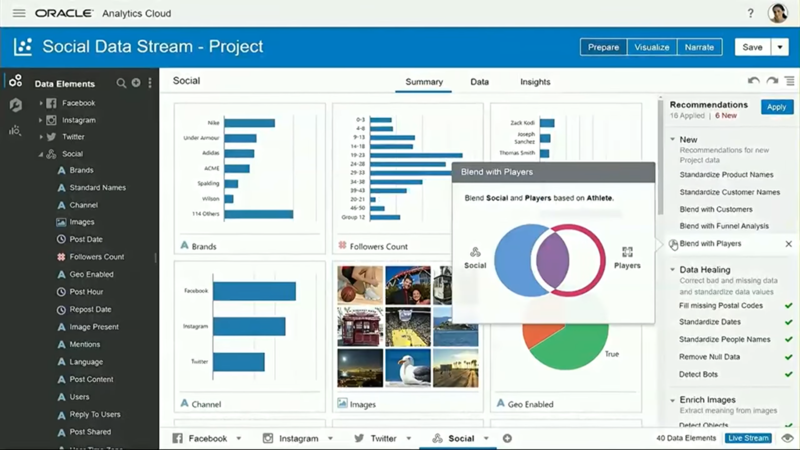 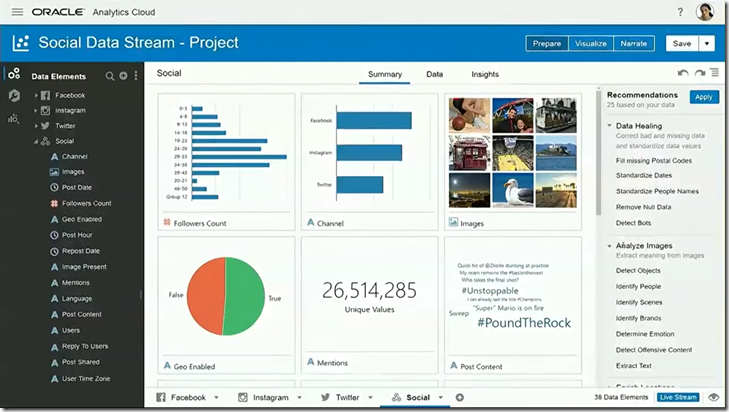 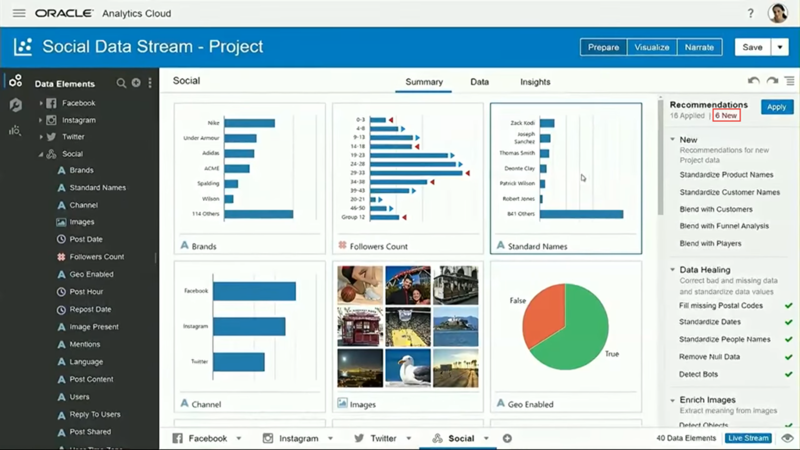 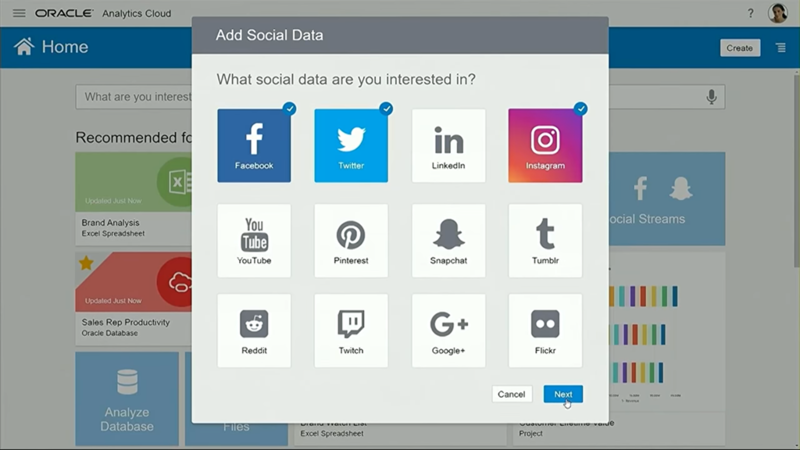 The initial data load is presented for the new Social Data Stream project on the Prepare tab. 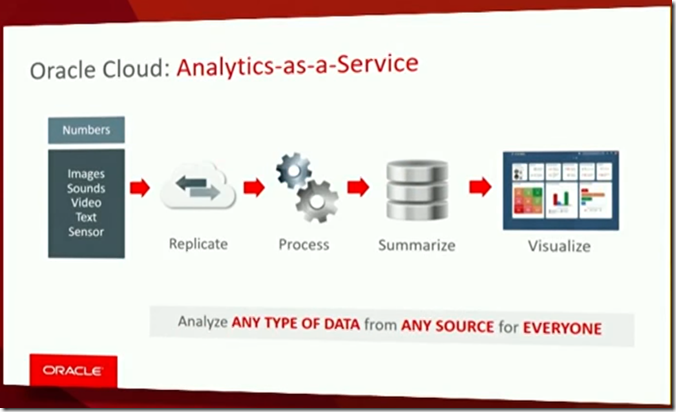 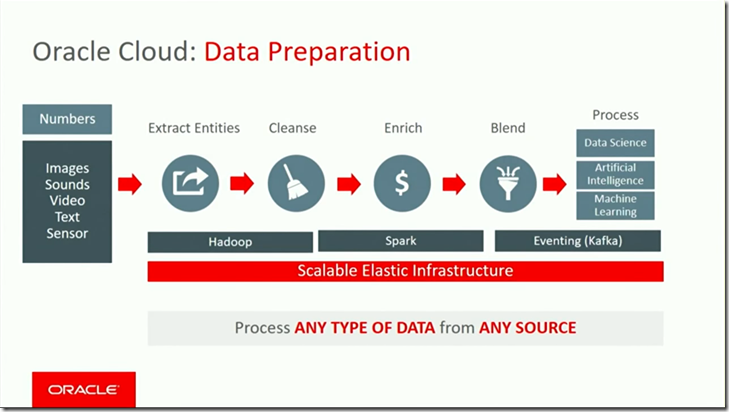 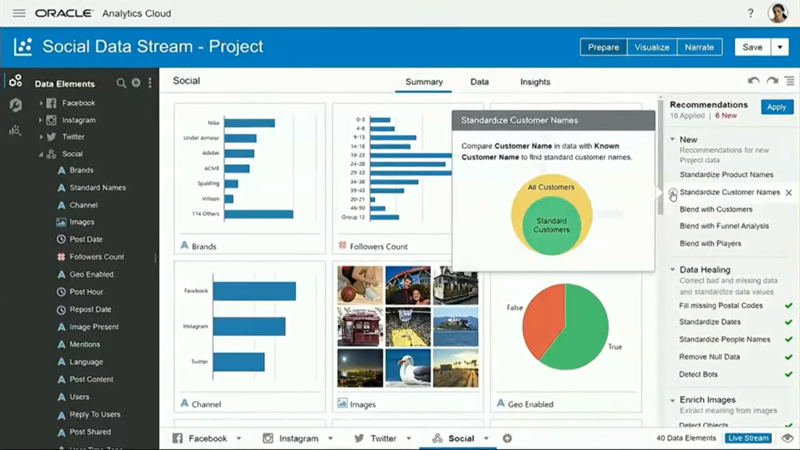 The Analytics Cloud comes with recommendations (calls to action) to cleanse (or “heal”) and enrich the data. Among the potential actions are correcting zip-codes, extracting business entities from images, complete names and enrich by joining to predefined data sets such as players, locations, team names etc. The intial presentation of data is in itself a rich exploration of the data. 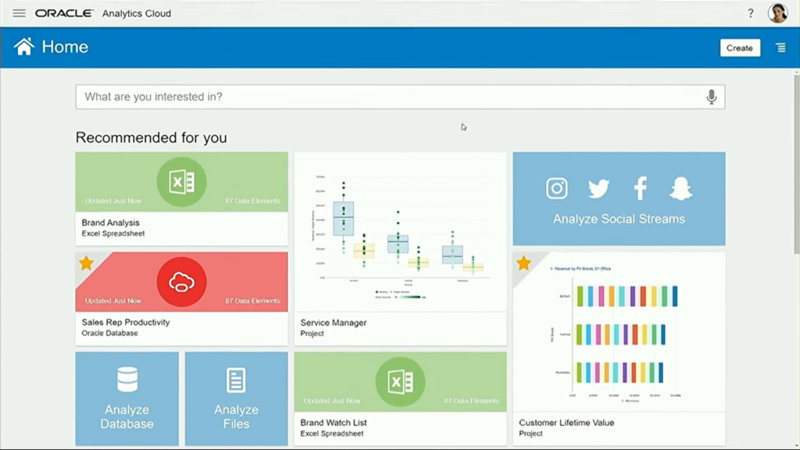 Analytics Cloud has already identified a large number of attributes, has analyzed the data and presents various aggregations. 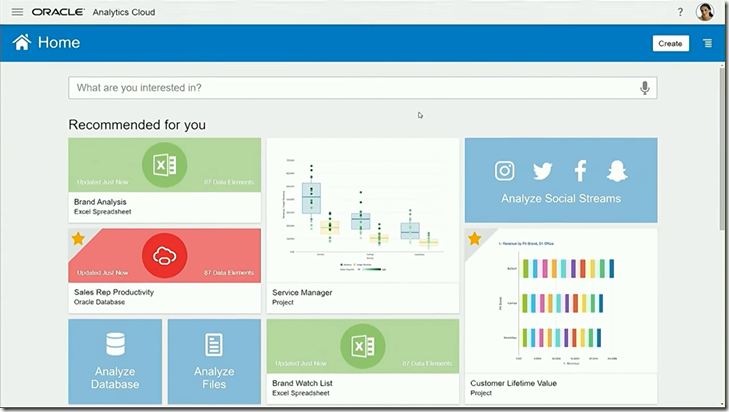 (This has clear undertones of Endeca) At this point, we can work on the data, to make it better – cleaner, richer and better suited for presentations, conclusions and model building. 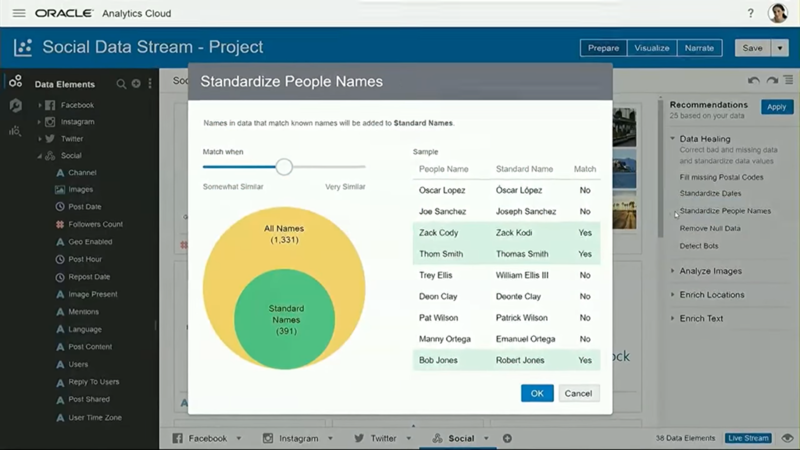 After each healing action, new recommendations for data preparation may be presented. 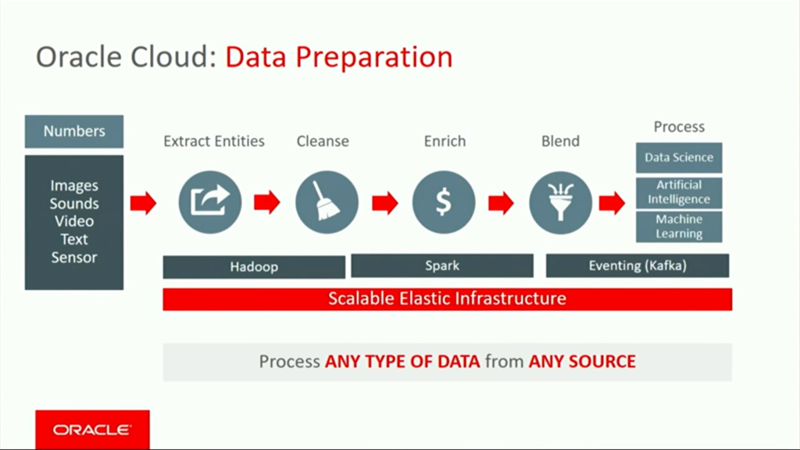 Some more examples of what the current status of preparation is of the data. 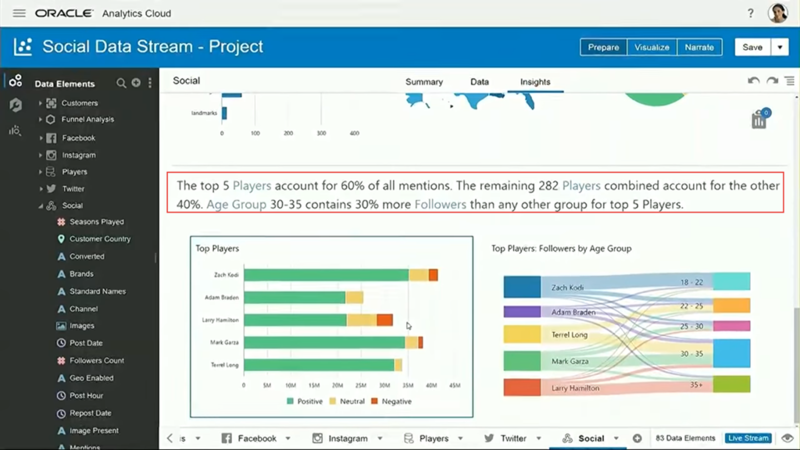 Here is the Visualize tab – where users can edit the proposed visualizations and add new ones. 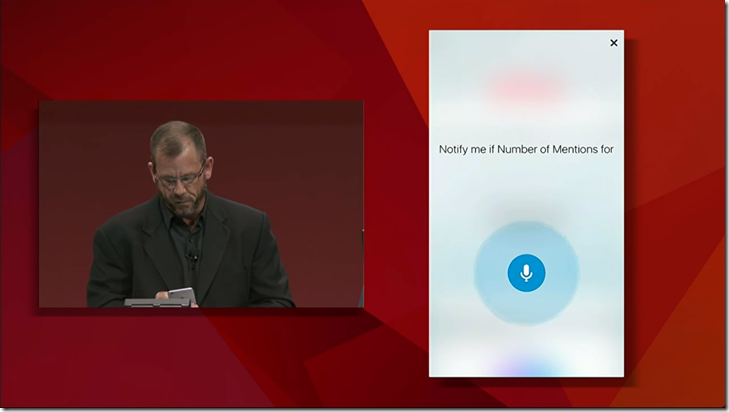 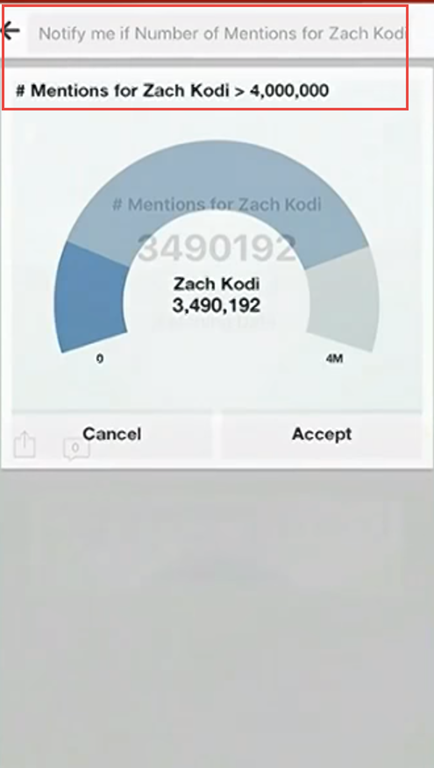 The demo continued to show how through a mobile app – through voice recognition – a new KPI could be added. Notifications can take various forms – including visual but passive alerts on a dashboard or active push messages on messenger or chat channel (Slack, WeChat, Facebook Messenger), SMS Text Messages, Email.